Book synopsis: A mysterious young woman called Jane appears in a small New England town. She claims a fragmentary memory of growing up in this place, yet she has never been here before in her life. Searching for an explanation, she arrives at the unthinkable: that she is somehow connected to a beautiful girl who disappeared from the town in 1853. Is she recalling a past life? Jane becomes convinced of it. As she presses onward to find out what happened in this town over 150 years ago, strange and alarming things begin happening to some of the town's inhabitants. A thunderhead of karmic justice gathers over the village as Jane's memories reawaken piece by piece. They carry her back in time to a long-buried secret, while the townspeople hurtle forward to a horrific event when past and present fatally collide. (Hardcover, 318 pages (published June 14, 2011 by Grey Swan Press). My review: I love a good mystery and Jane Was Here provided that and so much more. 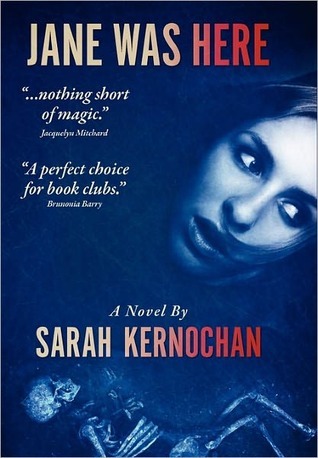 Sarah Kernochan has a way with description, grafting dialogue and emotion into her characters and painting individual portraits for the reader to take in. The town of Graynier has secrets and its residents don't want them revealed. But the past has a way of coming back and it does in the form of a mysterious woman. A young woman, Jane, comes to town, a stranger lacking her memory but feels she knows things about places, like the house Brett lives in. Jane tells him she lived there. Brett doesn't think she did but she is adamant. Did she, perhaps in another century? And should he help her fill in the missing pieces of her life? This novel was very interesting and I liked the author's prose. Her way with description gave the characters and scenery a much need depth and helped my reading experience immensely--I could picture each scene clearly down to minute details. It was not surprising to learn the author is a scriptwriter. I cannot divulge too much of this novel and spoil it for those who have yet to experience Jane's journey. Despite the slow start, the story's pace did pick up and when it did I didn't want to stop reading. There were enough hooks and twists to keep me intrigued. Even though I didn't connect with any of the characters, I still enjoyed the story. Besides mystery, the story touched upon reincarnation, the paranormal, connecting the past with the present, all while trying to solve the mystery of who exactly Jane is. Jane Was Here is an intriguing read and recommended for a winter weekend best spent cooped up on a comfortable sofa with a cup (or carafe! )of hot cocoa. Don't forget to stack the logs next to the fireplace because once you become enmeshed in Jane's tale, it won't let you go. Favorite excerpt: "His heart thumping, Brett quickly deletes his post. He tries to reassure himself that there was nothing contained in the listing that could lead anyone to her hiding place. It’s hardly shocking that she has parents. It’s the word “unstable” that throws him. Ten days ago, on the humid night when she rapped on the door, his first intuition had been that she was a mental patient—but that was before he loved her. Unstable? More like mysterious: enigmatic and strange. 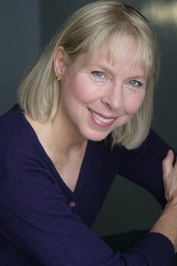 About Sarah Kernochan: Sarah Kernochan received early acclaim for her Academy Award winning documentary Marjoe. She then recorded two albums for RCA as a singer-songwriter. In 1977, her first novel Dry Hustle was published. Returning to film, she scripted the the film Nine and ½ Weeks, Impromptu, Sommersby, What Lies Beneath and All I Wanna Do, which she also directed. She received a second Academy Award in 2002 for her short documentary Thoth. 2010 brought the re-issue of Dry Hustle as an ebook, and a third album of songs. 2011 brings us to Jane Was Here; Sarah’s first love and teenage ambition – a novel about reincarnation. Very different and I love the mystery element mixed with the paranormal. Thanks for the review post!